Businesses have saved millions of dollars by eliminating paper and switching over to Electronic Data Interchange (EDI) to securely exchange invoice payments, company reports, purchase orders and even classified data electronically. EDI is the computer-to-computer exchange of information between companies using a standardized message formatting. 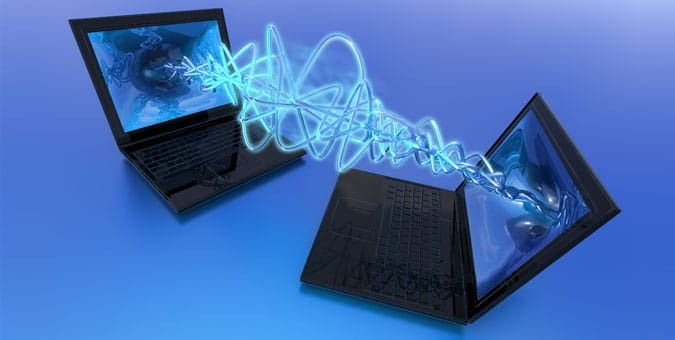 Many of these transfers require an internet connection and typically occur through serial links or peer-to-peer networks. EDI competes with XML and APIs, which allow communication between software programs. Although similar, more businesses prefer EDI transmission because APIs lack messaging standards and do not suit a wide range of businesses, which can make it difficult for companies to properly share information. Before business partners exchange information, they must first agree on the specific EDI standard and version that will be used for EDI transmission. Each business has unique requirements and standards suited to their specific industry and region. Therefore, each EDI document that is exchanged will be required to be in a specified format that complies with the needs of all business partners involved in the exchange. Also known as point-to-point, this direct connection connects two companies together. This method is mainly used by business partners who exchange information continually. This EDI method creates a more secure channel to transmit information for companies with numerous business partners. This model uses the internet to exchange encrypted information between two computers connected via point-to-point. Multiple business partners can be connected directly using FTP through a VPN, SFTP, or FTPS to transfer information over the internet. The data is encrypted during the transmission and is decrypted once it is transferred to the receiving party. This EDI model occurs via an internet web browser. This method duplicates paper documents as an online form with empty spaces where users can input information. This EDI protocol allows businesses to exchange data via mobile devices. Using EDI to transmit documents dramatically reduces the risk of losing of sensitive information because the data is transferred electronically in seconds. In addition to being a more secure method of communicating sensitive business information, the use of EDI can help companies avoid detrimental data losses that occur when physically mailed documents are lost or damaged in transit because the transmissions can be tracked and monitored in real time. EDI supports workflow efficiency by streamlining the transfer of documents, saving companies valuable time, reducing errors, improving document accuracy and enabling faster business transactions. EDI is also more cost-effective. Processing an EDI transmission costs only about a dollar, while manually processing and shipping paperwork can cost $100 or more. Businesses, however, must ensure they have the resources and necessary tools to allow EDI transmissions to take place, which may require purchasing, hiring, or outsourcing components. These can be: additional software or hardware to enable and inbox EDI communications; VAN, FTP, or AS2 services for EDI transmissions; maps for translating encrypted EDI documents; trained personnel to operate EDI communication devices; backup power and redundant data storage; and a well-monitored office space to ensure security. The requirement for businesses to be EDI compliant is often overlooked or mishandled. As a result, it is best practice for companies to reach out to certified custom software developers in order to properly integrate EDI interfaces to enable EDI transaction capabilities, program protocols and user guidelines, train company personnel on how to utilize the technology, and install any other components necessary to achieve EDI compliance.